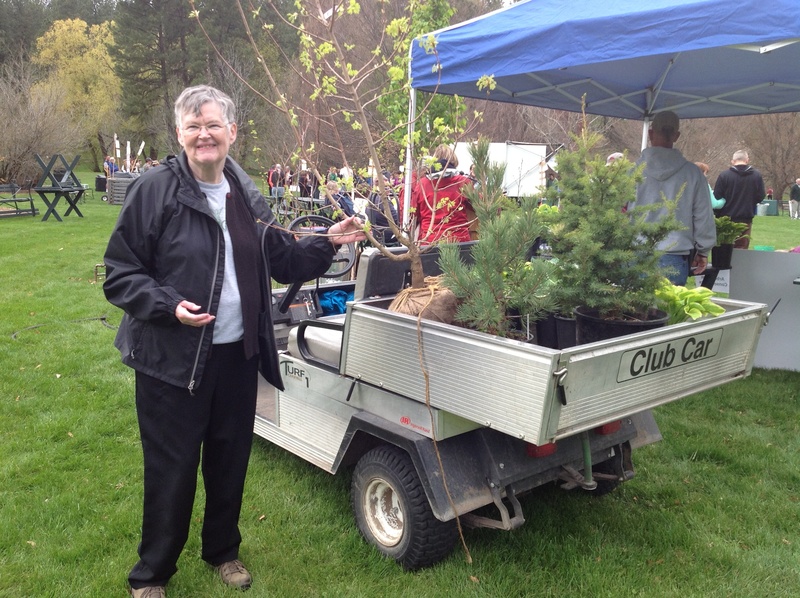 Arbor Day is always a fun day, talking to the people who come to the festival, visiting with the tree people I haven’t seen for a while, and planting a tree. I manned the Urban Forestry table for most of the time and of course I talked most of the time about the Susie Forest. I don’t think I talked any of the attendees into planting a tree, however, I may have gotten some tree people to think about some personal trees. 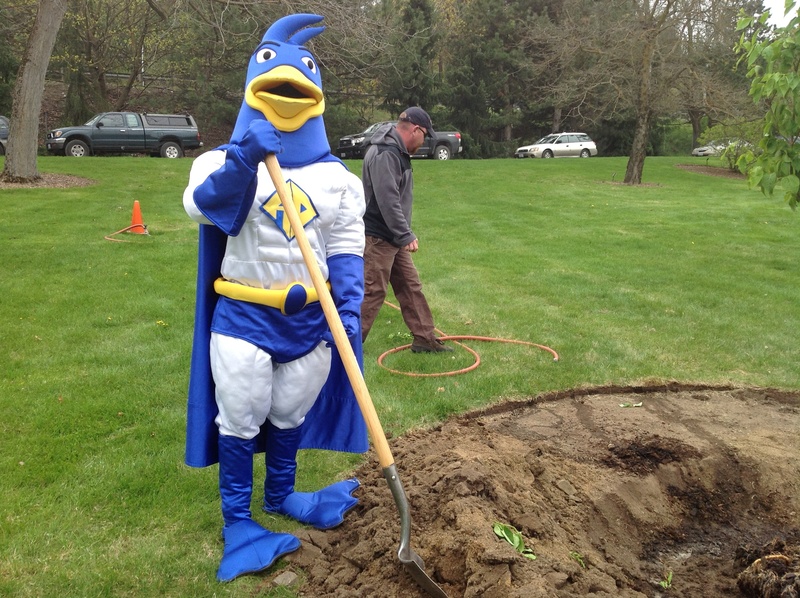 The Arbor Day Tree this year was a Japanese Tree Lilac and we had a special shoveler, Aqua Duck from the Spokane Aquifer Joint Board. 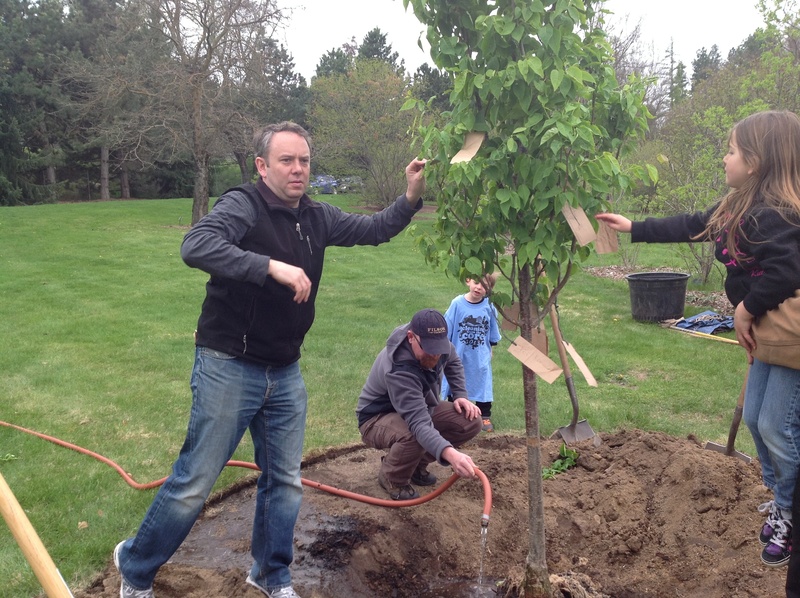 Mayor Condon came with his children and they (especially the children) did lots of shoveling. This was tree #219 in Spokane. I walked around looking at all the booths and bought three tickets to tree drawings sponsored by the Finch Arboretum Conservators. Last year I bought a ticket and there were so few entries that I felt sure that I would be a winner. NOT! And this year? I won THREE trees! When they called my name for the first tree I had to find the arborist Jeff Perry to choose the tree because it is going to the Urban Forestry nursery. He chose the mountain maple and went back to what he was doing. He had to be called back to choose the limber pine and the yew. Once they do some growing they will be planted in the Susie Forest.